This was created in 1985 when the collectors society was first created. The company was founded in 1953 by three brothers, Juan, José and Vicente Lladró, in the village of Almàssera near Valencia. Starting with items such as vases and jugs, it wasn't until 1956 that they started producing the sculptures for which they are now most famous. 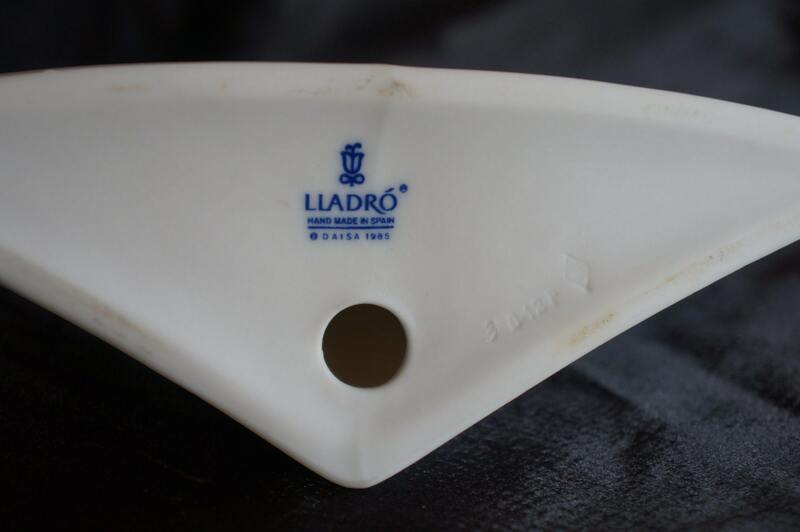 Enthusiasm for the items produced by the Lladró brothers saw their small workshop expand several times until eventually they moved to Tavernes Blanques in 1958. 1962, the brothers open the Professional Training School at their site in Tavernes Blanques to share their knowledge and experience. It still operates today keeping alive the vision and philosophy of the brothers by imparting it to a new generation. 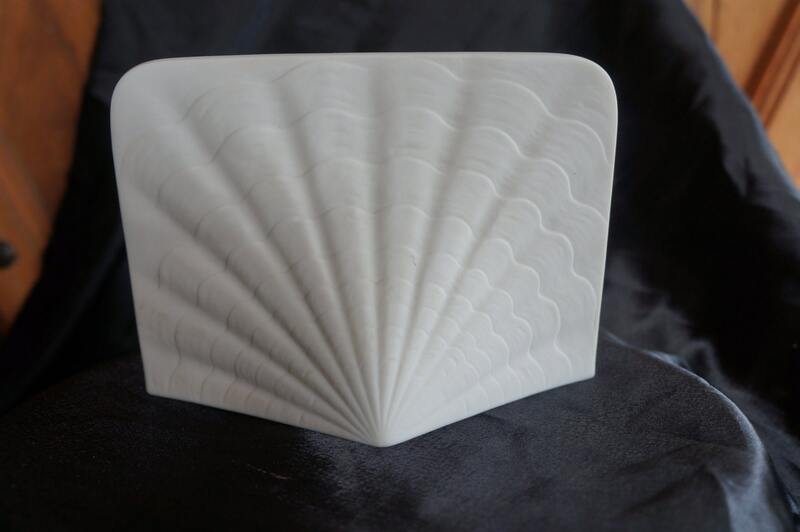 1969, on October 13, the City of Porcelain is opened by the Spanish Minister for Industry. It took 2 years to build and was designed to provide the best environment that encourages the artistic development of works produced. Currently over 2000 people work here. 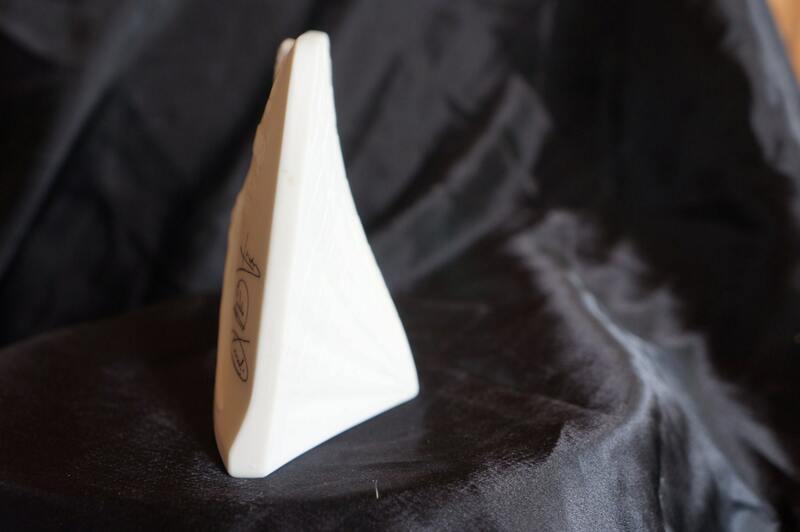 1970, Lladró begins to use a new material, gres, for its sculptures. It has earthy colours and is used frequently in natural themes. 1973, Lladró buys 50% of the North American company Weil Ceramics & Glass. 1974, the first blue emblem, consisting of a bellflower and ancient chemical symbol, appears on the base to show the origin of the sculpture. The Elite Collection is also launched. 1984, Rosa, Mari Carmen and Juan Vicente Lladró joined the company. One child of each of the founding members. They underwent a long apprenticeship before they were permitted responsibility in the company. 1985, the Collector's Society is formed. 1988, on September 18 in New York the Lladró Museum and Gallery is opened on 57th Street in Manhattan. 1993, Lladró receives the Principe Felipe award for internationalisation. 2001, Lladró Privilege, a new customer loyalty programme, takes over from the Lladró Collectors Society. 2004, Lladró Privilege Gold, a new level of loyalty programme within the Privilege program. 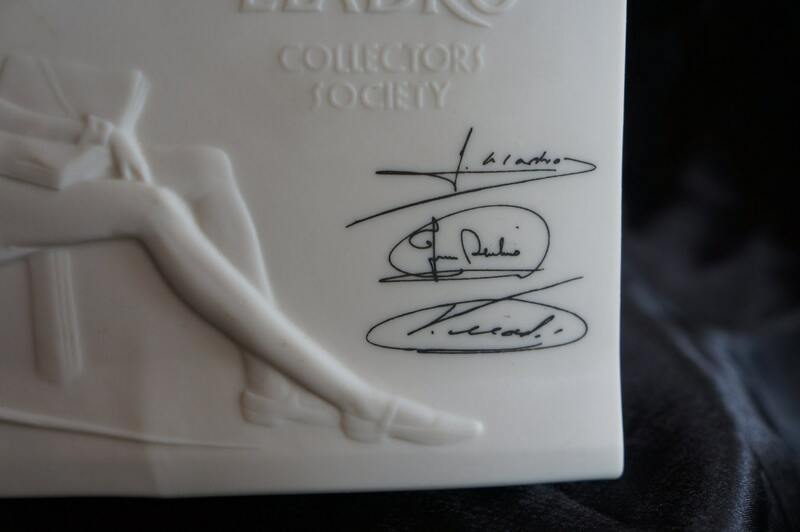 2011, Lladró Privilege Society changes into Lladro Gold, Privilege name is dropped and only one level of membership is offered. 2013, Lladró Expands into the lighting market with Belle De Nuit, a collection of chandeliers, lamps and sconces. 2013, Lladro Releases the first piece in their new Dazzle collection which uses a geometric black and white design. There is a reason this name is known.....a piece of history you may say. 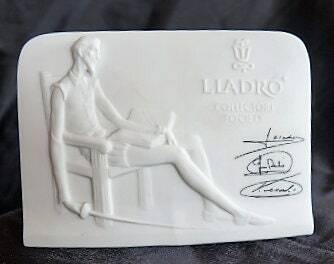 This would be perfect for a collector of Lladro, since this is not made anymore and was one of the first's! This ships 2 day priority!